Interviews with the Russells or Wild Turkey Distilling Co. The Chuck Cowdery Blog – Chuck is an accomplished author – a living legend of bourbon history and lore. A simple query of “Wild Turkey” on his blog’s search function is guaranteed to lead to hours of interesting and enjoyable reading. The Fred Minnick Blog – Fred may be the most popular American Whiskey author and researcher at present. 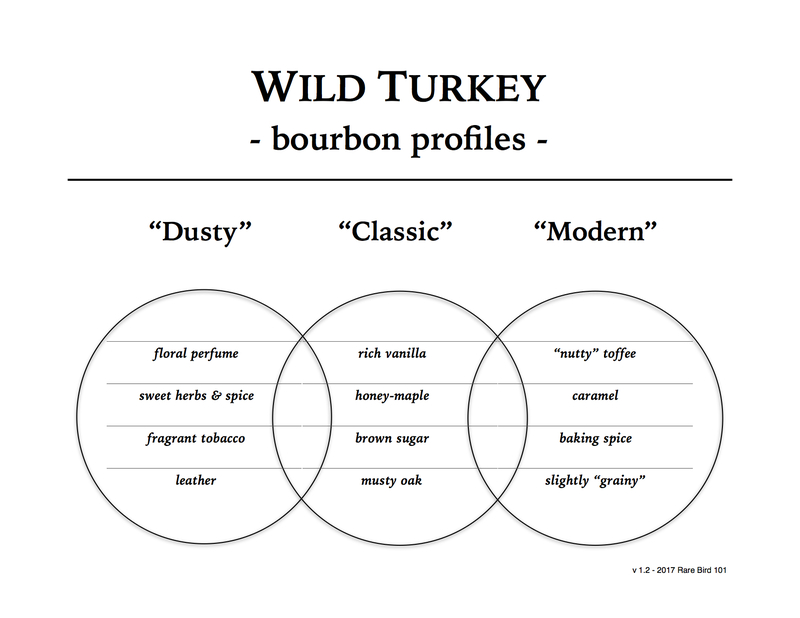 A query of “Wild Turkey” on his blog search function should lead you to some good information. Michael Veach Blog – Michael is a Kentucky Bourbon Hall of Fame inductee, author, and arguably the most well-regarded bourbon historian in the United States. Bourbon Release Calendar (BreakingBourbon.com) – upcoming American whiskey releases by year and season – reliable and updated often. It’s also an excellent whiskey blog with detailed reviews and articles. GlencairnWhiskyGlass.com – If you’re interested in the etched glasses pictured in some of my posts, then visit this site by Etched Laser Art. Their products can also be found on the Amazon.com Marketplace. I’ve been very pleased with my purchases and I’m sure you will as well.